Our Board of Trustees team is committed to ensuring the display of our artifacts and planning events. They are your neighbors -- if you have any suggestions, recommendations, or ideas on how we can preserve Champaign County's history, feel free to contact them. L - R Dan Walter (Pres. ), Beth Adair, Gregory Harvey, Fred Krift, Ken Wright (Treas. ), Terri Marratta (Secy. ), Charles Emory, Larry Headlee, Rob Pollock (Vice-Pres.) Not pictured Nancy Donohoe, Dan Gilbert, Candy Gillium, Joe Rizzutti. 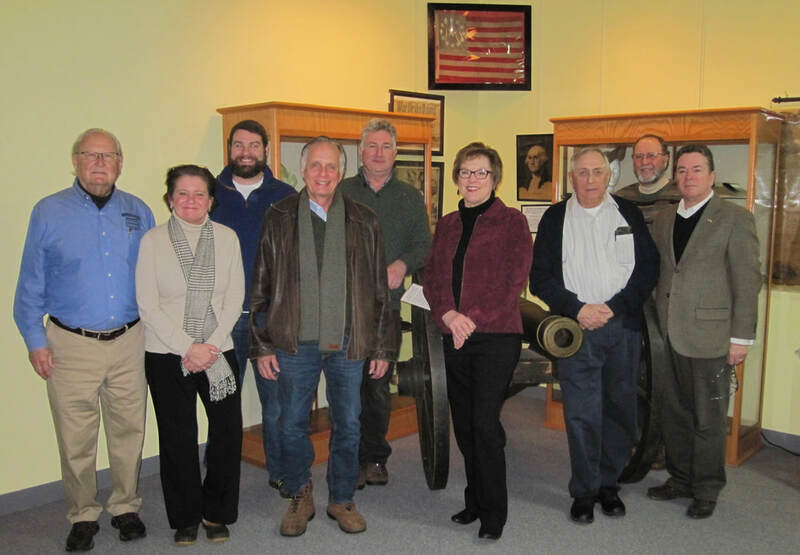 CCHS Board of Trustees Meetings are typically held on the 4th Wednesday of each month at 6:00 pm at the Museum.